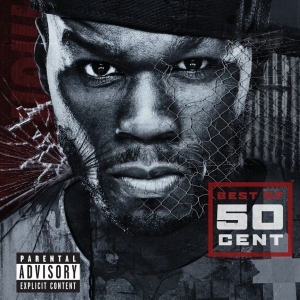 G-Unit boss 50 Cent has released a retail version of his greatest hits over the past 10 years. You will find tracks on this title from his debut album and probably his best ever, “Get Rich Or Die Trying” up until his 2009 release of “Before I Self Destruct”. 50 Cent got his start by releasing street projects and this ended up with him signing a major record deal with Shady Records/Aftermath. If you haven’t already, check out our collection of official 50 cent music downloads that began his recording career and brought him into the spotlight. Here are a few of the newest products added to the site for the 3rd week of August 2014. Superstar Jay was gone from the game for a few weeks, but now he is back with number 169 of the “I Am” series. This release is full of new music from artists such as Remy Ma, Troy Ave, French Montana, Vado, Joe Budden, Gucci Mane, and many more. Be sure to pick this mixtape up because you will not be disappointed. 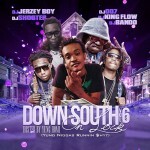 Next is DJ Jerzeyboy, DJ Shooter, DJ 007, DJ King Flow, and DJ Bando bringing you the 6th volume of the “Down South On Lock” mixtape franchise hosted by Yung Homi. This edition plays you music from the mixtape host, Criminal Manne, OJ Da Juiceman, Snoop Dogg, Yo Gotti, Young Buck, Slim Thug, Doughbeezy, Wiz Khalifa, and more. The mixtape titled “Welcome To New Atlanta” displays talents from three of Atlanta’s newest artists to enter the rap game. Rich Homie Quan, Young Thug, and the southern hip hop group Migos have the stage on this mixtape and will surely please you with their beats and lyrical prowess. The last mixtape to be reviewed is from Biggy Jiggy. The 3rd volume of “Exclusiv Tunes” contains music from Drake, Eric Bellinger, Busta Rhymes, Murda Mook, Raekwon, Frenchie, Young Dolph, Soulja Boy, J Doe, Joell Ortiz, and more.